The nice people from Quest have been kind enough to invite me to give a keynote at the European edition of “The Experts Conference” (TEC), which is scheduled for October 17-19 in Frankfurt. As part of the event, they asked me to interview with a German magazine called NT4Admins (you can see from the title that this magazine has been around for a while). Appropriately (at least for me), the interview was conducted by email and has now been published on the magazine’s web site. I’m impressed that my thoughts are expressed so lucidly in German. Mind you, as I don’t speak German at all save a few common words, it’s easy to impress me! My German readers might like to have a look at the interview and see what they think. And if you’re interested in TEC Europe, you should sign up soon and come along for what I think will be a very interesting conference in October. For those who don’t speak German, here’s my reply in English to the questions posted by NT4Admins. If you’re really into the topic, you can compare the German translation on the site with the text below. Suffice to say that the translation offered by Chrome was “interesting” at times. Many companies have Microsoft Exchange 2003 or 2007 running in their it environment. 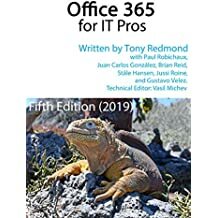 If they have to upgrade there are some options: Go with Windows 2008 Server R2 and Exchange 2010 (SP1) or just use Office 365. What can You recommend for small, medium and larger enterprises? I think that there are two very different groups of customers here. Those who run Exchange 2003 should look at Office 365 (or another hosting provider) very seriously because it will be easier for them to move to the cloud than to deploy Exchange 2010. Most small to medium companies don’t see email as a core competence and should be able to get a better service from a hosting provider than they can provide themselves. Of course, there are exceptions that prove the rule, especially for companies who don’t trust the cloud or have some other solid reason for wanting to keep email on-premises, but I think that moving to a utility service simply makes sense for many of the small to medium companies who run Exchange 2003 today. Companies that run Exchange 2007 are in a different category. First, they aren’t under the same pressure to migrate because Microsoft will still support Exchange 2007 for a number of years yet. Second, they have already gone through the architectural changes experienced during migrations from Exchange 2003 and will therefore find it much easier to move to Exchange 2010. Third, they are probably using hardware that is relatively new and doesn’t need to be replaced. For these reasons, I think that fewer of these companies will move to Office 365. Large enterprises are in a different space because their requirements for email are often more complex than can be delivered by a utility cloud-based service. In addition, Microsoft won’t offer dedicated instances of Office 365 that permit more customization until next year at the earliest, so while their complexity requires more time to plan for any migration, these companies have the time to figure out what they should do and can wait until they see what Microsoft delivers for a dedicated Office 365 service. If companies are thinking about a hybrid solution – run a part of the Exchange mailboxes on premise and the other part as a Office 365 solution: What implications will hurt the IT pros ? I don’t think anything about a hybrid solution will hurt IT pros. After all, by definition a hybrid solution is more complex because it uses both on-premises and cloud components. IT pros have to synchronize those components to deliver a seamless service to users so there’s work to be done there. On the other hand, moving some of the load to the cloud should free up time to allow that work to be done. The decision “use Cloud Services” or “run Exchange 2010 on premise” will be driven by the cost of operation for the solution. How can 3rdparty tools help the “on premise guys” to run their Exchange environment in a more efficient way? First of all I’ve got to comment that the cost equation is very much more complex than the simplistic view of cost per mailbox per month. Many other costs surround email including network, hardware, storage, people, third party software, and so on. Anyone who considers a move to the cloud has to understand the full cost picture first to know where they might save and where they will have to spend more money. For example, the network infrastructure used in most companies is inward-facing because that’s how users access services. As you move applications to the cloud the focus switches somewhat as a lot more traffic now flows across Internet connections so the network infrastructure has to be adjusted to reflect this tact. In addition, monitoring, support, and SLA measurement take more effort, all of which will cost. I see opportunity for third-party software vendors to help companies who use cloud, on-premises, and hybrid Exchange environments to run their operations more smoothly and effectively than is possible with out-of-the-box tools. This means that the third-party software vendors have to be constantly looking for where they can close gaps in Microsoft’s toolset. However, it’s always been the case that third parties have to stay at least one step ahead of Microsoft for customers to want to buy their products so there is little change here. Concerning storage for Exchange 2010 (SP1): Are there any new ideas useful: Microsoft has focused again on direct attached storage for Exchange (are there no more SAN necessary?). And how can SSDs help to increase the real data throughput on the different roles of Exchange 2010 server? SANs are still valuable, especially when a company takes a storage-centric approach to its architecture and uses shared storage to host multiple applications. Exchange’s focus on direct attached storage is good news because it allows customers more choice in the kind of storage solutions that they can select as well as forcing down the cost of storage for Exchange. However, that’s not a good reason to scrap a SAN if that SAN is in place, delivers the right performance, and is an asset from which the company needs to get a return. SSDs are clearly fast but they are still very expensive. I haven’t seen any data that shows that companies can get much advantage from using SSDs to host any of the Exchange server roles. Over time, as SSDs become denser and prices decrease that equation will probably change but we are not at that point now. This entry was posted in Email, Office 365, Technology and tagged Quest, TEC, The Experts Conference. Bookmark the permalink.